No ENB No Ash Yam pudding. No daedra worship. No pose mod. No Hip Hop soundtrack. What?! No ash yam pudding? Wait, on second thought, wouldn't want to eat that anyway. Nice shot and I really like this chain mail armor. well, tis a new one from Zapgil, updated into the gigaduex set. Not many padded/chain sets in game and it's so nice. Lindsay 2 chain. Yams. Shudder. 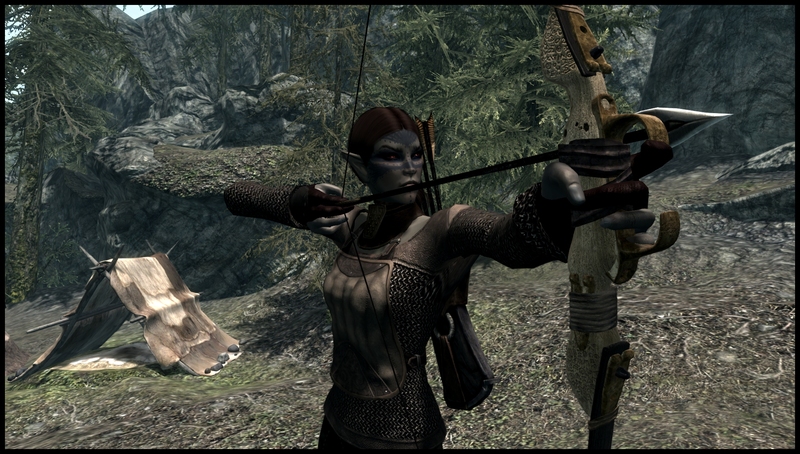 No wonder the Dunmer are surly and disagreeable peoples. Don't like hip hop anyway so good. I was watching new game trailers today. Must be a "thing" now. Yes, considering the endless hours of truly great game scores I listen to while not even playing the game. Whut. She said you forced her to wear the other top. She's teeny and awesome. Thanks so much.